It is the early 1940s, and the United States has just entered World War II. The country needs ships and it needs them fast, and a huge complex of shipyards springs up virtually overnight along the water's edge just north of Portland. To build those ships, workers come from all corners of the nation, and to house those workers--many from the South and many African-American--a city of 40,000 called Vanport is constructed from scratch on a muddy floodplain of the mighty Columbia River. Tragically, on a Sunday afternoon a half-decade later, Vanport is destroyed by a catastrophic flood that presages the events of Katrina by some sixty years. 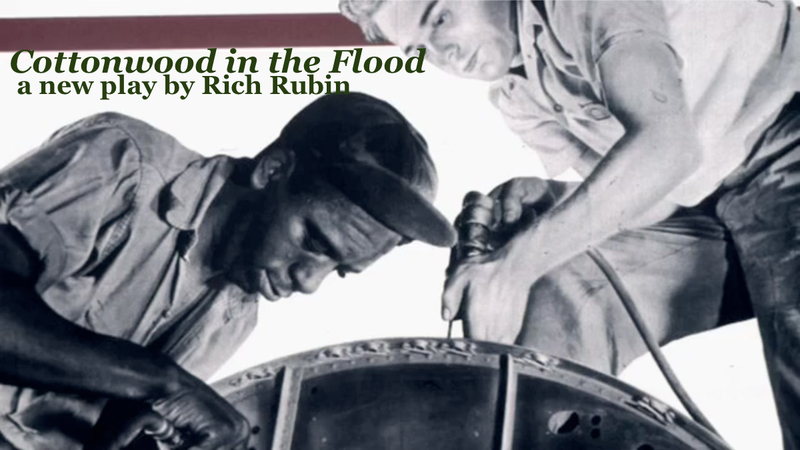 Cottonwood in the Flood tells the tale of one (fictional) African-American family and their experiences in Vanport both during and immediately after the war, a time and place where America's nobler ideals and its history of racial injustice collide head-on in the Pacific Northwest. The Regional Arts & Culture Council, The Multnomah County Cultural Coalition & The Oregon Cultural Trust, Ronni Lacroute/Willakenzie Estate, The Vanport Mosaic Festival, and The Oregon Heritage Commission.